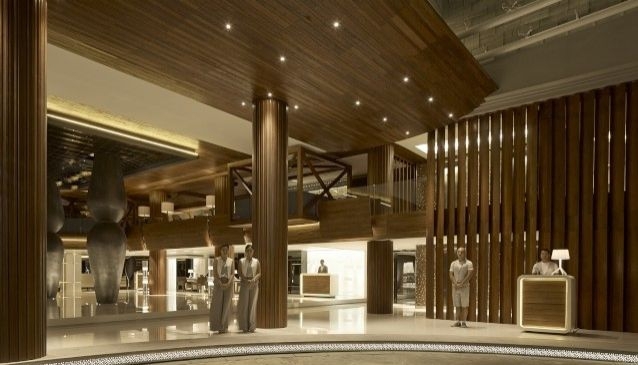 One of the most anticipated hotel openings of 2014 in Bali was the Double-Six Luxury Hotel on Seminyak's most famous beachfront address, known around these parts as Blue Ocean Boulevard, which runs at 90º to the famous Jalan Double Six (real name Jalan Arjuna). Double-Six Luxury Hotel is already welcoming an international clientele with one thing in common: a desire to live it all. Thanks to an innate respect for the true meaning of Balinese hospitality, an impeccable eye for detail, jaw dropping ocean panoramas, and a dream team consisting of the industry's crème de la crème, Double-Six Luxury Hotel is Seminyak's most recent 'happening' address. The Hotel sits alongside an already famous party venue, Cocoon Beach Club. This new magnet for the world's experienced holiday-makers with a passion for living it stylishly, is an all-suite collection of 146 rooms which invites guest to experience bliss their own way. At one moment, you may imagine you're lounging in a penthouse apartment on New York City's 5th Avenue, and at the next moment, your personal butler turns on the mood lightsand begins to mix a signature sugar cane welcome drink. Expansive en-suites with Hermes toiletries, a flat screen television above the bathtub and opalescent glass tiled walls create a cocoon of glamour. Start the day with an a la carte breakfast at Robert Marchetti's Seminyak Italian Food restaurant as the crashing waves along Double-Six beach set the tone for another day in paradise. The same evening, celebrate one of Bali's legendary sunsets at the poolside bar with a frozen mango daiquiri that's large enough for two. On Fridays and Saturdays, Seminyak Italian Food is the place to be from 4 - 7pm as 'Aperitivo Hour' introduces you to complimentary authentic Italian bites and a selection of Chianti that's simply to die for. you are invited to live it all.